We can handle virtually all of your computer system requirements with our state-of-the-art data center, including hardware and operating system maintenance, automatic software upgrades, network monitoring and daily data backups. In doing so, TIMS Cloud Hosting eliminates high, up-front computer system costs and unnecessary IT expenses, providing a short return on investment path for your business. TIMS Cloud Hosting resides at a highly scalable and secure facility in Montana, with 24/7/365 monitoring of both the facility and the network. Equipped with redundant fiber-optic and microwave connections, generator and battery backup, and redundant cooling systems, our data center ensures a completely stable and efficient system. In addition, the data center’s fully redundant network is connected to a wide array of tier 1, tier 2 and tier 3 carriers for a highly responsive experience via the internet or dedicated connectivity. For superior and reliable performance, TIMS Online Hosting is powered by the latest HP servers running Microsoft Windows® Server and Microsoft SQL® Server. Automatic, nightly backups and off-site tape storage ensures your data is safe at all times. For an automated solution to store your valuable data off-site, Computers Unlimited has partnered with KeepItSafe® (formerly, Dakota Backup). Your data is protected regardless of where your computers are located. Online data is stored off-site at SAS 70 Type II compliant top-notch facilities and transfers are secure with military grade encryption. Computers Unlimited, in partnership with KeepItSafe®, provides an automated solution to store your valuable data off-site. With no hardware investment or special license fees, off-site data backup is cost-effective, hassle free and HIPAA compliant. Lost files, emails or documents and corrupted disk drives can happen, causing lost revenue and potential damage to your entire operation. Traditional solutions can be unreliable, prone to human error or incomplete. Customized backups can be time-based or triggered-based on events and can be configured as often as every minute. Should the need ever arise, your data can be restored immediately after it has been backed up and is confirmed to be held off-site. Bottom line—you can rest assured that your data is always protected and accessible. 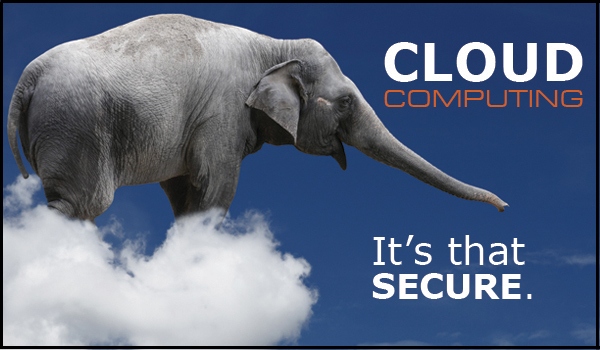 TIMS Cloud Hosting safeguards your information with three layers of security via a Secure Socket Layer (SSL) and/or VPN, while a protective firewall using Cisco® routers prevents the system from being breached by outsiders. Your system environment and database are entirely self-contained and not shareable. Comprehensive in-house analysis and beta tests precede every automatic software update to TIMS Cloud Hosting, ensuring your system is up-to-date and delivering optimal performance. Simply log in and enjoy the new enhancements and added functionality. I wanted to reach out and let you know how great it is to work with Joe. I have worked with him a lot over the years and most recently we are working on the TIMS Supporting Documents project. He always impresses me with his knowledge and passion for the product. He always takes the time to understand our business needs, and he also makes himself available even on Sundays, when I send an email, he will respond. I wanted to let you know, how much I personally appreciate his efforts, and all the efforts of the team of people behind him. Thanks!!!! Since starting with TIMS, we have more than doubled our revenue while cutting inventory costs by more than 60%. TIMS Business Intelligence tools helped us identify problem areas in our business, for example in inventory. I could accurately measure utilization, consignment location productivity, which product lines were making us money – and which ones were not – and then put that in an easy to read report. We could then make informed business decisions on if a location needed to be closed to cut costs or a product line need to be increased in order to meet demands. We discovered an issue in our system today and Melissa in Application Support contacted me immediately. She worked with me – and with Crystal in Data Services – to get the problem identified, resolved and corrected in our system. It is always a joy to work with Melissa. I know that I put in a lot of tickets, but I must say – as a customer – I receive AWESOME support from your staff!! Thank you for everything you do! From an implementation standpoint, Claims Processing has been one of the easiest programs to roll out to users. The owners of our company have always wanted to see the detail in the GL accounts. Now, they are able to do just that. They can drill down on those individual accounts and get the detail they have been looking for, right down to the invoice and line item. Simply put, it’s powerful and it is easy to use. We are really excited about Patient Intake, it is exactly what we need. Right now, our company is very interested in the Lean Business model, and Intake fits right in with the way we are wanting to do business. Before TIMS, we never had a way to track employee productivity … now we have the tools we need to monitor and measure employee performance. Our upgrade to 5.0 was very smooth. We never experienced any interruption to our daily business. On the day that we went live, my upgrade team and I kept waiting for my users to call in with issues, but those calls never came. The implementation team at Computers Unlimited was fantastic; they guided us through every step of the conversion process. They reviewed our data, they brought up issues that we had not even noticed … then they helped us to correct those issues. Once again I would like to compliment Gayle [in Project Management] on her training ability. She has a great cadence, upbeat attitude and a way of changing confusion into clarity! TIMS Custom Development service is the perfect solution for us when we have unique business demands that fall outside of TIMS. The development team at Computers Unlimited understands our business model and works closely with us to ensure we get that desired functionality. ActivStyle Inc. strives to improve our company’s cost efficiency by at least 5% each year and TIMS Custom Development has been key in helping us meet and exceed those efficiency goals every year. I just wanted to take a minute and point out one of your Application Support Reps and the stellar customer service we receive each time he is on the other end of the phone, Mike M. He is by far the best resource at CU that we have dealt with in the 2 years I have been here at Diamond. He is responsive, knows the product and always professional. I have thrown some ridiculous issues at him too! I have managed CSR departments and have 22 years in technology, he definitely would be the kind of employee I would want working for me. Our goal is to get you paid faster by providing a one-source software that takes your revenue cycle management from beginning to end, and makes it smarter. 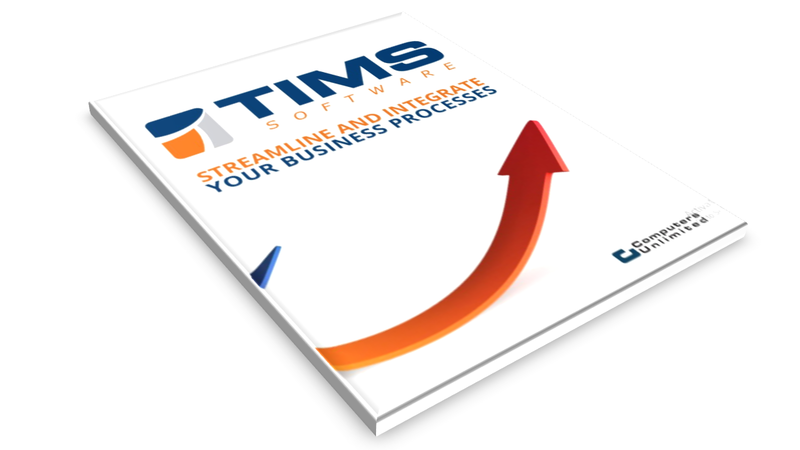 If you want total business management software that you can customize for your business processes, download this guide.